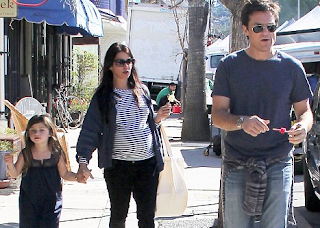 February 17th 2012 - Jason Bateman has become a father for the second time to baby girl Maple Sylvie. His representative confirmed the actor's wife Amanda Anka gave birth to a daughter last Friday, Us Weekly reports. It is a second girl for the couple, who have been married for 10 years. Bateman and Anka, both 43, wed in July 2001, and have one of the most solid marriages in Hollywood.